Come join us at BC’s Restaurant on December 2nd at 2pm for the Annual Holiday Shoot. 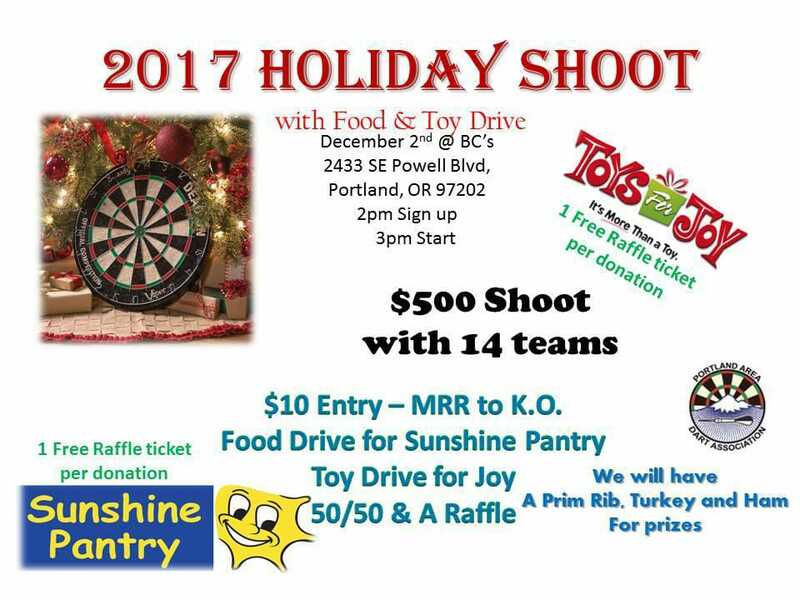 We will be having a raffle and you can get a free raffle ticket with each donation of a toy or unopened non-perishable food item. Prizes will include a prime rib, turkey and a ham this year! $10 entry and with 14 teams there is a guaranteed $500 in prize money.